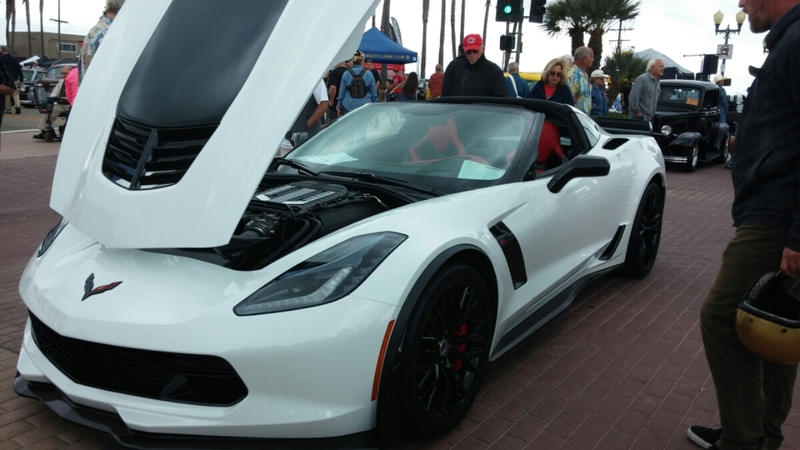 Unfortunately this was the best side view photo I could get of this beautiful Z06 as so many people were crowding around it at the Classic car show this weekend. My wife says “no you can’t have one” because for some reason, she believes it is a car for old farts going thru a mid-life crisis. Maybe it’s because that’s usually who we see driving them around our area. All I know is that one day I will have one of these bad boys in my stable and not because I’m an old, bald, pervy guy picking up on young stock. Oh wait, I am bald and getting old, lol. I must say that these cars are amazing! Just look at it with it’s light weight construction, sharp lines, led lights up front and 650hp motor to match it’s futuristic styling. This car definitely capable of putting a smile on your face, just standing still. 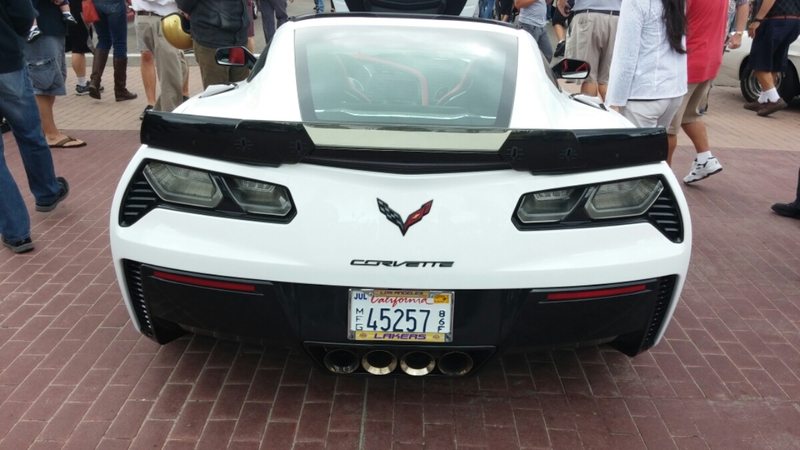 I have driven around in an early 90’s Vette and and early 2000 Z06, so I know what they are about…BUSINESS!!! Chevy really did a number on this revamp and I must say that I had my reservations, but hats off to you Chevrolet . 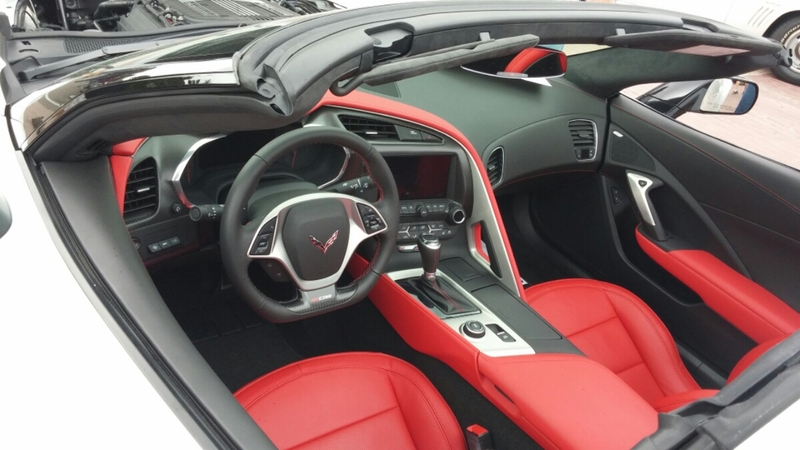 I am truly a believer in the new Stingray and Z06, and I haven’t even driven it…yet ;). I do know a guy that is a bit of a car guy that is currently building one, and based on what has owned and modified in the past, I’m sure the customization world will be turned on its ear (full interview to come). Until then, I will leave you with these quick snaps of the oh-la-la interior and oh yeah…that backside! Enjoy. Saw this car and immediately looked in pocket to count change for down payment……alas much to my dismay I was only able to scrounge together worthless pocket lint. When you get behind the wheel. You can not resist the need for speed. It happen to me when I was driving our Vette on the 91 Fwy when someone pulled up next to me noded, I dropped to 2nd and left him in my wake. What a rush.